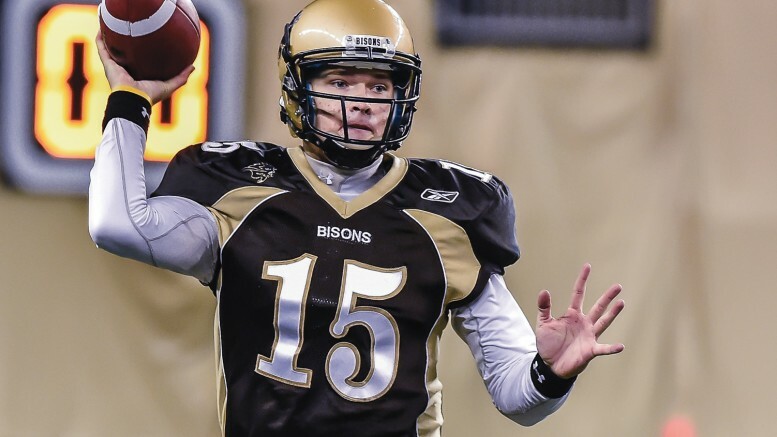 The Bison offence, led by backup quarterback Foster Martens, who stepped in for an injured Theo Deezar, garnered 11 first downs in the opening 15 minutes alone. Martens did a great job executing the game plan, going 13-of-20 for 165 yards and no interceptions. He also made several superb throws while on the run, evading the Bears’ pass rush effectively. The six-foot-two Steinbach native never missed a beat and helped the Bisons punch their playoff ticket. “My role today was to just manage the game. I didn’t need to win the game, I didn’t need to put it all on my back,” Martens said after the victory. 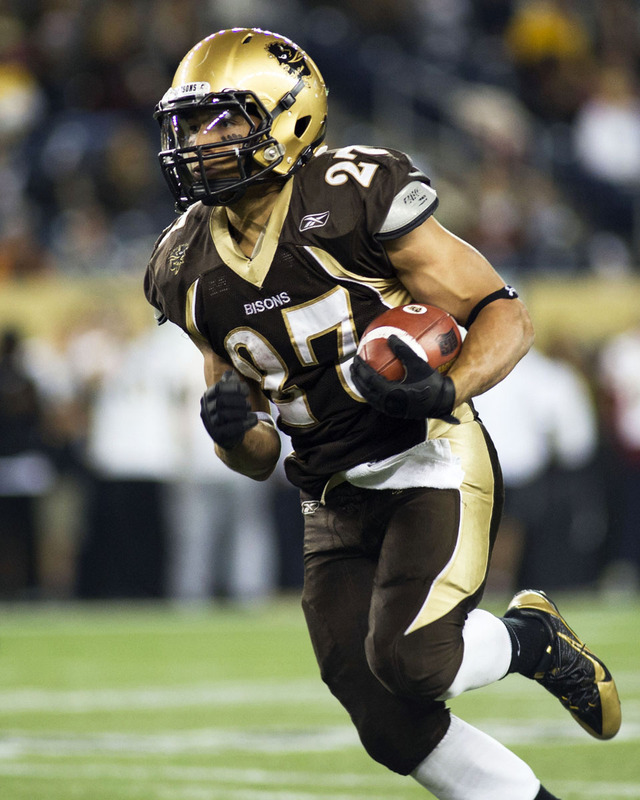 The Bisons offence ran the ball an astonishing 50 times, led by Alex Christie and veteran running back Andrew Barry. The two combined for 186 yards on 28 attempts. Senior fullback Matt Hallock added in two goal-line touchdowns as well. 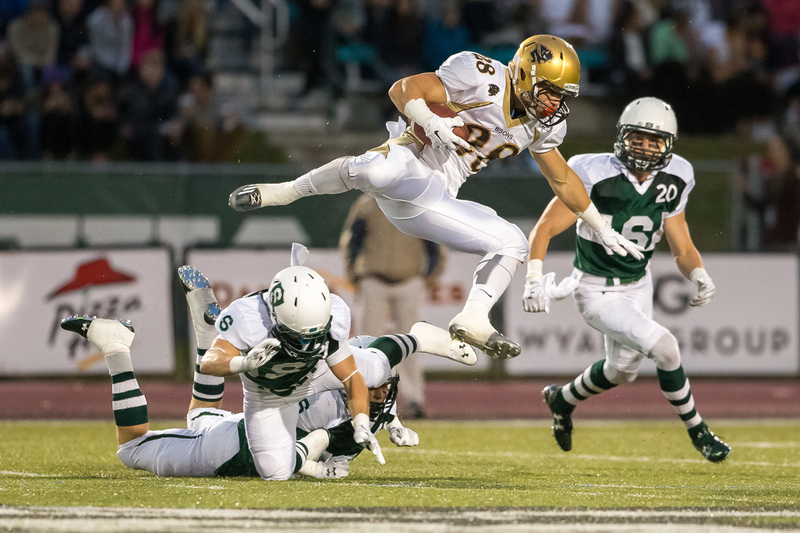 Head coach Brian Dobie commented on the strong performance of the Bisons backfield post-game. The Bisons’ defence was dominant on Friday. They didn’t allow a touchdown and on two occasions forced a field goal with Alberta in the red zone. The Bisons’ front four won the battle in the trenches, recording five sacks and repeatedly pressuring Alberta pivot Ben Kopczynski. Christian Turner, a linebacker turned defensive lineman, made his first start on Friday and shone. He registered 7.5 tackles, including three tackles for losses. He also pitched in with 2.5 sacks on the night. Next week the Bisons head to Vancouver to take on the University of British Columbia in what will be a battle for second place in the Canada West. The Thunderbirds edged the Bisons at home the last time the two teams met, so the herd will be out for revenge.